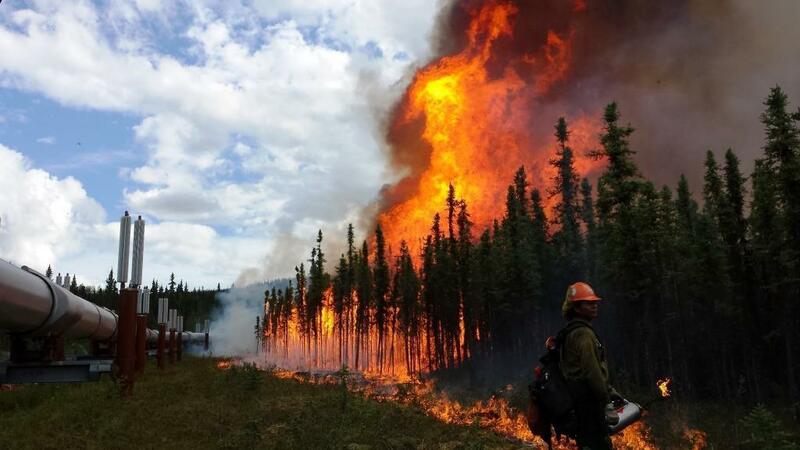 A report released Thursday by the National Oceanic and Atmospheric Administration shows that the likelihood of a severe fire season in Alaska, similar to 2015 when more than 5.1 million acres burned, has risen significantly (34-60%) due to human-caused climate change. The 2015 Alaska fire season burned the second largest number of acres in Alaska since records began in 1940. The NOAA report was published today in a special edition of the Bulletin of the American Meteorological Society. The fifth edition of “Explaining Extreme Events from a Climate Perspective” includes 25 peer-reviewed research papers that examine episodes of extreme weather from 2015 over five continents and two oceans, according to a press release issued by NOAA. The report features the research of 116 scientists from 18 countries analyzing both historical observations and changing trends along with model results to determine whether and how climate change may have influenced the event. The strongest evidence for a human influence was found for temperature-related events – the increased intensity of numerous heat waves, diminished snowpack in the Cascades, record-low Arctic sea ice extent in March and the extraordinary extent and duration of Alaska wildfires, according to the report.